MOSCOW - Rosenergoatom has completed the assembly of the reactor vessel for unit 1 of the Leningrad Phase II nuclear power plant, which is in Sosnovy Bor in western Russia. The nuclear power plant operator subsidiary of state nuclear corporation Rosatom said yesterday the VVER-1200 is now being prepared for first criticality this month. 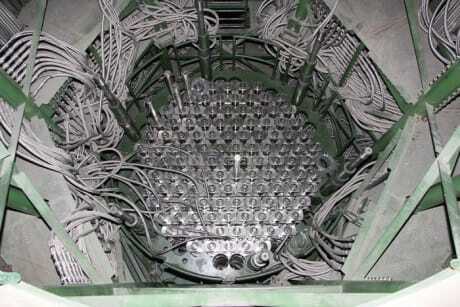 Alexander Belyaev, chief engineer of Leningrad NPP, said in the company statement: "The reactor is fully assembled, sealed and ready for hydraulic tests of the first and second circuits, during which we will once again check the equipment of the reactor installation, and finally confirm its density. After that, it will be possible to start the reactor at the minimum controlled power level. Belyaev said this preparatory phase "envisages a whole series of physical tests that will make it possible to refine the neutron-physical characteristics of the first fuel loading of the nuclear reactor, as well as prove the reliability of the entire control and safety system of the reactor installation". The existing Leningrad plant site has four operating RMBK-1000 units, while Leningrad II will have four VVER-1200 units. Testing of the passive heat removal system of unit 1 of Leningrad II was completed in late August and fuel loading began in December.